RAF Patrington was opened in 1942, also known as RAF Holmpton, after moving to a new location in 1955. Currently being operated as a storage facility for archive documents. RAF Patrington, built during the Second World War, was a radar station and used for ground-controlled interception. In 1955, following the building of a new RAF base at nearby Holmpton, the base closed, being surplus to requirements. 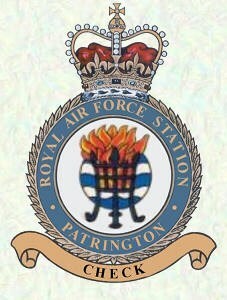 The new base at Holmpton, would later be renamed RAF Patrington.